Dinny McMahon spent a decade in China as a journalist covering the Chinese economy and financial system for The Wall Street Journal and for the Dow Jones Newswires. A native Australian, he is fluent in Mandarin. McMahon completed China’s Great Wall of Debt while a Fellow at the Woodrow Wilson International Center for Scholars in Washington, D.C. He is currently a fellow at MacroPolo, a China-focused think tank based in Chicago. Houghton Mifflin Harcourt: Over the course of a decade spent reporting on the ground in China as a financial journalist, Dinny McMahon gradually came to the conclusion that the widely held belief in China’s inevitable economic ascent is dangerously wrong. 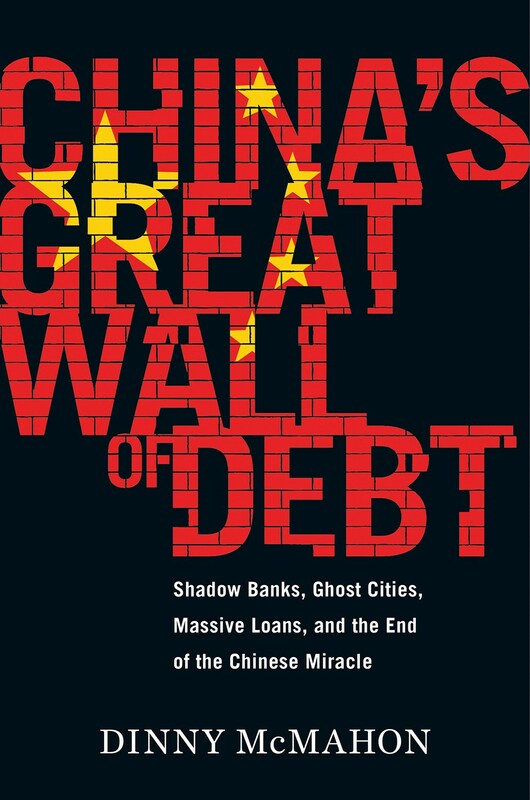 In this unprecedented deep dive, McMahon shows how, lurking behind the illusion of prosperity, China’s economic growth has been built on a staggering mountain of debt. While stories of newly built but empty cities, white elephant state projects, and a byzantine shadow banking system have all become a regular fixture in the press in recent years, McMahon goes beyond the headlines to explain how such waste has been allowed to flourish, and why one of the most powerful governments in the world has been at a loss to stop it. Through the stories of ordinary Chinese citizens, McMahon tries to make sense of the unique—and often bizarre—mechanics of the Chinese economy, whether it be the state’s addiction to appropriating land from poor farmers, why a Chinese entrepreneur decided it was cheaper to move his yarn factory to South Carolina, why ambitious Chinese mayors build ghost cities, or why the Chinese bureaucracy was able to stare down Beijing’s attempts to break up the state’s pointless monopoly over the distribution of table salt.